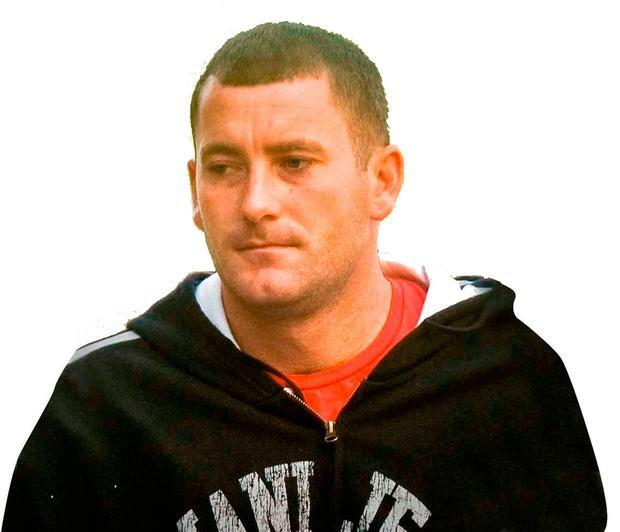 North Dublin gangster Jonathan Keogh shouted "Rats!" and "F**kin' b*****ds!" as he was found guilty yesterday of murdering Gareth Hutch. "What about everyone else's family?" he ranted as a garda read out a victim impact statement on behalf of Gareth Hutch's family. "What about all the other families," said Keogh (33). It was not the first time the killer's temper had got the better of him. As the prosecution prepared to close its case against him in July, he splashed onlookers when he threw an open bottle of water. The incidents had shown his disposition to be a "violent and dangerous one", said one of the judges. Keogh, his sister Regina Keogh (41) and Thomas Fox (31) were all found guilty at the Special Criminal Court of murdering the nephew of Gerry 'The Monk' Hutch. Jonathan Keogh fired the "fatal shots that killed Gareth Hutch in a callous and cold-blooded manner", the court found. His sister "colluded" with him while Fox was the proposed getaway driver. There was a heavy presence from the Garda Public Order Unit for the reading of the verdict. The victim's mother, Vera Hutch, said the pain of her son's death was "unbearable" and that she would "never get over it". "We struggle every day as a family and can't comprehend why this happened," she said. As her victim impact statement was read out, a number of Keogh's supporters laughed and left the court. Jonathan Keogh shouted: "What about everyone else's family? What about all the other families?" He then said "F**kin' b*****s!" and "Rats!". In her victim impact statement, which was read to the court by Det Gda Eoin Treacy, Vera Hutch said she had the "privilege and honour" of being Gareth's mother for 35 years before he was "cruelly" taken away from her. She said she no longer felt safe, and the defendants had "destroyed" her family. She said she would never again see Gareth's smile or hear his laugh, which was "contagious once you heard it". "Not only did you take away my son, you have taken away a brother, uncle, friend and most of all a daddy." She said it was Gareth's son who would lose out the most, as "his daddy had been cut out of his life". She said Gareth was denied "the opportunity of watching his son grow up" and he would never get to take him to his first football game. Mrs Hutch asked the court to consider the "magnitude and impact of the crime on her family". Speaking on sentencing, Mrs Hutch told the court: "Considering the violent and callous nature of this crime, and the little value of life, a maximum sentence should be served. "Any time incarcerated is nothing compared to what my family will experience for a lifetime." Mr Justice Tony Hunt said the three defendants had all been found guilty of murder and the court had no choice but to impose the mandatory life sentence. He said Regina Keogh was guilty due to her "involvement with her brother's affairs" and it was "reprehensible" of Jonathan Keogh to involve her in the murder. Regina Keogh was in a very "unfortunate" position to receive the same sentence as her co-accused, said the judge, because she had previously led a blameless life. He said she had also been a good friend to key prosecution witness, Mary McDonnell. However, Mr Justice Hunt said it was "easy" to be convicted of murder in the way the offence was defined in this country. "All it takes is one contribution and that's enough. Hers is a sad illustration of that," he said. Mr Justice Hunt expressed his condolences to Gareth Hutch's family, adding that his murder had been seen and heard in "technicolor" and it was "hard not to be struck by the depravity of what was seen on CCTV". He also complimented the garda investigation, though he said that gardai were "only as good as the community that supports them". Speaking outside the Criminal Courts of Justice after the verdict, Assistant Commissioner Pat Leahy said gardai took no satisfaction from what had happened in court. "A really strong message came out from the court in respect of some of the people who were convicted. We had a mother of five children convicted, and gardai take no satisfaction from something like that," he said. "We have sent out this message previously. You cannot get involved with these feuds, even on the periphery, and I think the court came out very strongly about that. "It equally came out strong that gardai on their own didn't do this. All the communities came together in relation to this and the assistance we got in the north inner city." Mr Leahy also ack- nowledged the work of gardai, saying it was "an extraordinary investigation conducted by extraordinary people". He said 40,000 hours of CCTV were considered in this case and the investigation was not yet over. Thirty-five-year-old Gareth Hutch was shot dead in the car park outside Avondale House in North Cumberland Street on May 24, 2016. It was the State's case that Jonathan Keogh was one of the gunmen, together with Mr AB, who was not before the courts. 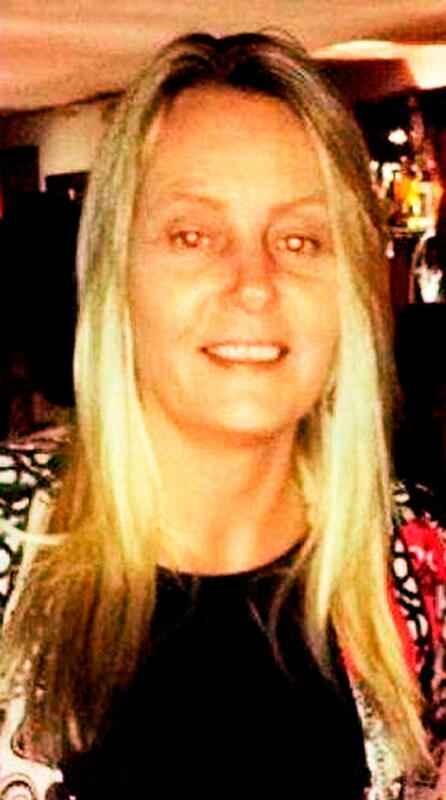 Regina Keogh was "central and fundamental" in the plan to kill Gareth Hutch and helped to procure the use of protected witness Mary McDonnell's flat to stake out Mr Hutch's flat. Regina Keogh also gave surgical gloves to Ms McDonnell for the gunmen to use and arr-anged for money to be sent to her brother after he fled to Belfast. In a lengthy judgment, Mr Justice Hunt, presiding, with Judge Patricia Ryan and Judge Michael Walsh, said the killing of Mr Hutch was not spontaneous but was "deliberate and callous" and involved "considerable planning and co-ordination". The court found that the plan to kill Mr Hutch had been in gestation "perhaps as far back as April 2016", when a black BMW - the proposed getaway vehicle - was bought for cash. It was certainly in place by May 18 when Jonathan Keogh acquired a burner phone, the judges found. Mr Justice Hunt said the court accepted the evidence of Ms McDonnell, who identified Jonathan Keogh as one of two men in her flat on the morning of the shooting. The court found that Jonathan Keogh was connected to the murder through the mobile phone and CCTV evidence. Mr Justice Hunt also said Jonathan Keogh was connected to the proposed getaway car parked at Avondale House, through CCTV footage and his DNA, which was found on items in the car. The judge said the association of Jonathan to the BMW provided "powerful evidence implicating him in the planning of the murder". Finding him guilty, Mr Justice Hunt said the evidence showed that Jonathan Keogh "had a hand in almost every aspect" of the planning of this "murder enterprise". In relation to Fox, the judges found he was "very much subordinate" to Jonathan Keogh and "acted under his general influence and direction". The judges accepted that Fox had some "second thoughts" about getting involved, but these were not "clearly formed, communicated or acted upon". As Fox was found guilty, a person in the public gallery shouted "You f**king hypocrite, you are!" and stormed out of court. Fox was also found guilty of possessing a handgun at Avondale House on the day before the shooting. In relation to Regina Keogh's finding of guilt, Mr Justice Hunt said the court was satisfied that when she brought the gloves to Ms McDonnell's flat, she had "specific knowledge that something was afoot in relation to Gareth Hutch". Her behaviour after the murder also showed "her continuing willingness to assist her brother", the court heard. She was guilty due to her "involvement with her brother's affairs".